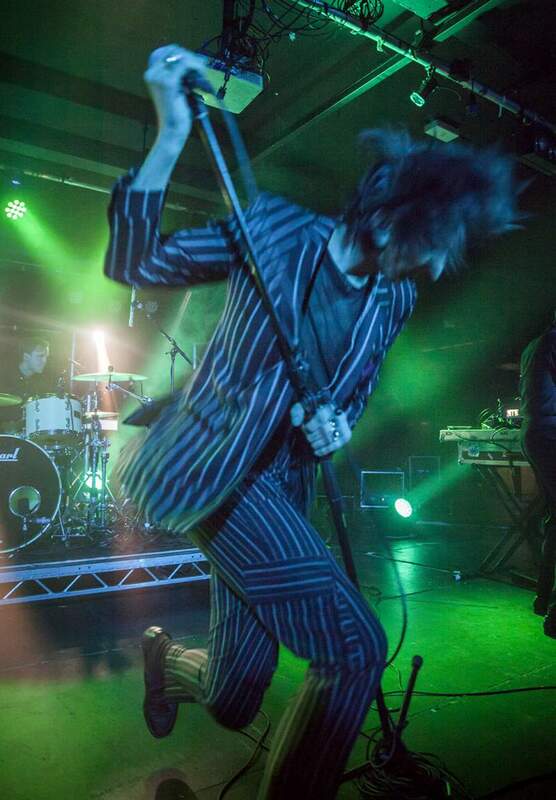 For a band that have rebounded onto the scene in a chameleon-esque fashion with every fluctuating release, there was little element of surprise in The Horrors’ newfound approach with latest release V. Hopping from the abrasive clamour of 2007’s Strange House to 2014’s sheeny offering of Luminous, the masters of experimentation took to Newcastle Uni’s stage to display a melting pot of the last decade, appeasing fans old and new. Supported by Sheffield-hailing psychsters Baba Naga, whose trippy, lucid performance laid out an almost mystifying nature to the evening; their dabble-footed sorcery with a pedal board allowed the audience to be captivated by the three-piece’s ability to transport you to a world far beyond the four concrete walls and swashbuckling pint glasses. As Faris Badwan and co. glided on stage beneath a deep red hue, their silhouettes remained cloudy, a feature that remained throughout the entirety of the night. Long gone are the intensified, crazed stares of the frontman, the contorted dancing and sparkly attire; all the drama has been replaced by five slightly bopping black figures. 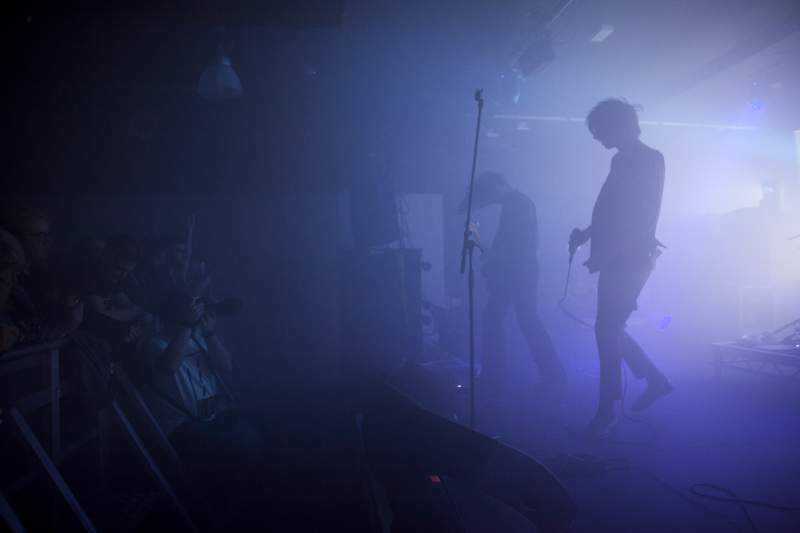 Despite the lack of crowd connection, The Horrors soared through the likes of Mirror’s Image and Sea Within A Sea, the gentle ambience contrasting fantastically alongside their capacity to manoeuvre between their several shapeshifting genres, a feat that should be rather difficult. Although a 12-song set seems disheartening for an outfit with reams of material under their belts, the commence of the encore with new track Something to Remember Me By solidified the fact that, although they may occasionally ensconce into the shadows, they’ll always find their way back to the light.